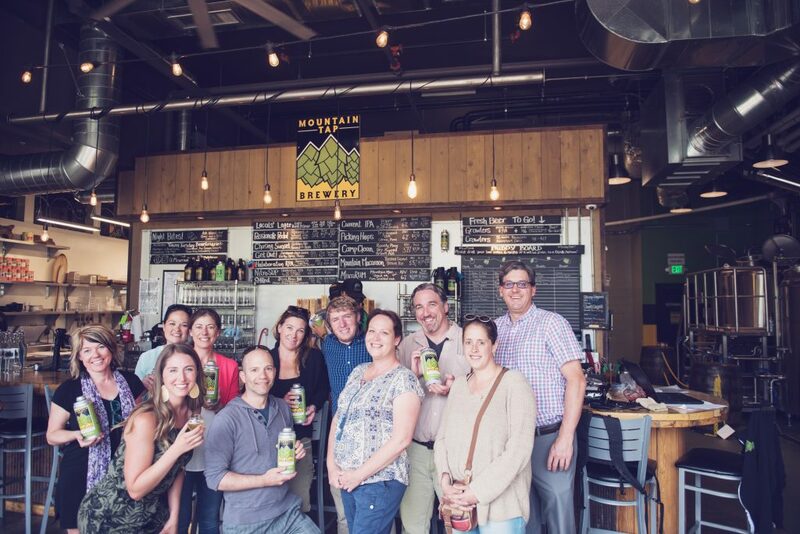 Simply Steamboat and the Resort Group Reservations Family were given the opportunity to tour Mountain Tap Brewery in Steamboat Springs! 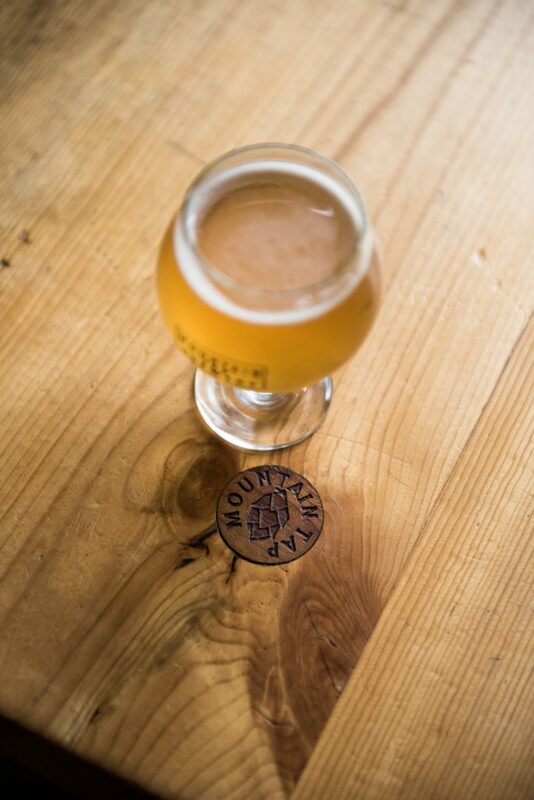 Rich Tucciarone, the co-founder of Mountain Tap Brewery, personal gave us an in-depth tour of this lovely location right downtown. Rich started his brewing career right here in the Yampa Valley where he met his wife and business partner Wendy. The brewing industry took Rich and Wendy to Breckenridge Brewery in Denver & Kona Brewing Company in Hawaii and in true Steamboat fashion they were called home in 2011 by the Yampa Valley Curse (it has been told that in 1881 the Ute Indians put a curse on the Yampa Valley – “Those who come to the Yampa Valley to live will never be able to leave. 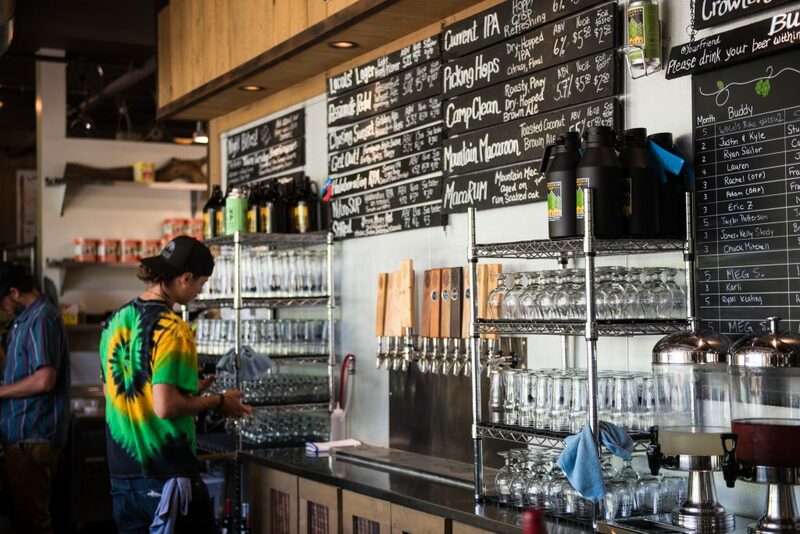 If they do succeed in leaving the valley, they’ll be forced to return”) where they started the journey that eventually lead to the fabulous Mountain Tap Brewery. 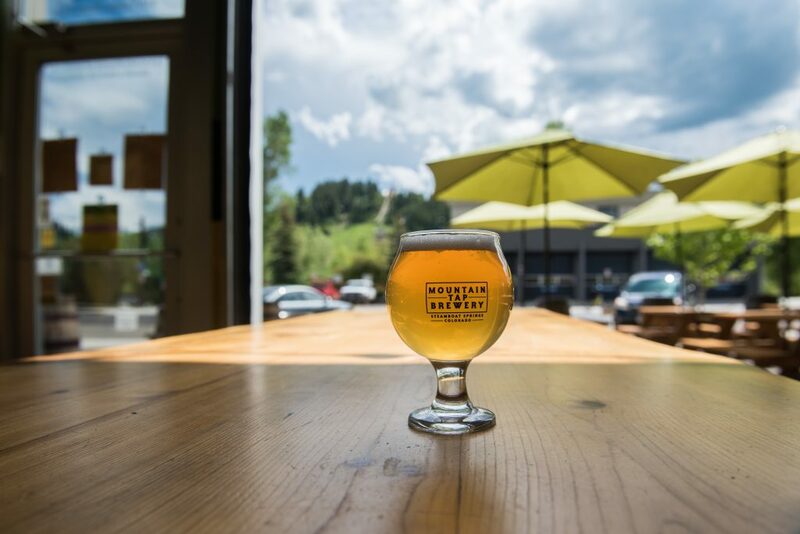 After working with other breweries across the country, Rich and Wendy decided to break ground on Mountain Tap after finding the perfect location in 2011. It is located in the old home of Yampa Valley Electric Association. 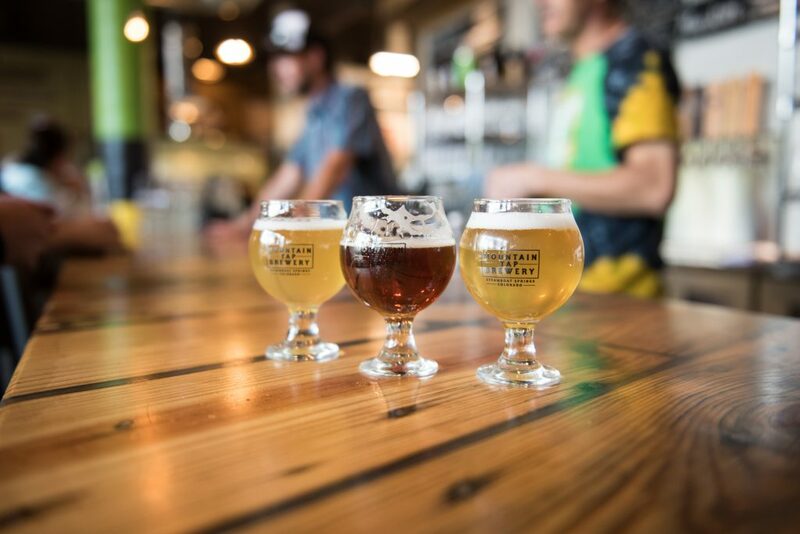 Rich explained that when they were deciding on design and decor, they wanted to keep the history in the space so they decided to construct the bar out of old YVEA electrical spools as well as barrels from other breweries throughout the state of Colorado. You will also notice the lack of televisions in this space to keep it social. Mountain Tap wants you to chat with your family, friends and neighbors – it really is so refreshing to have no distractions when having a night out! 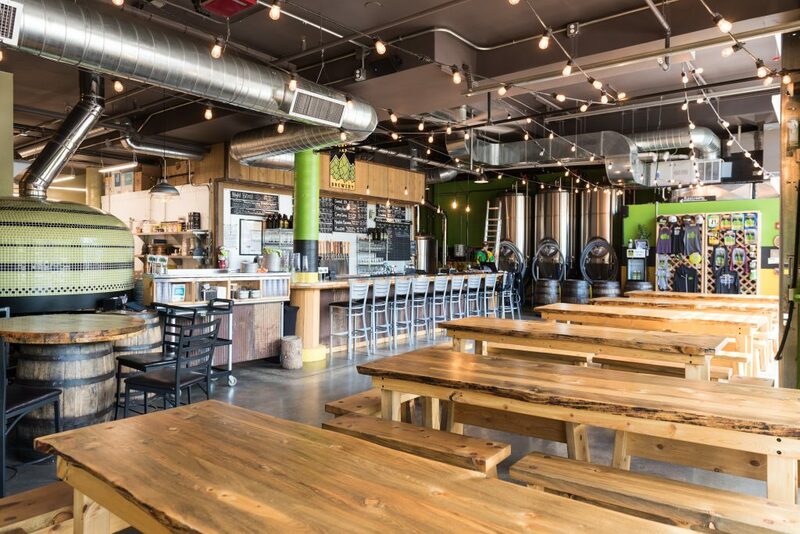 This brewery doesn’t just have amazing libations, they pack a serious punch with an all brick oven fired menu with pizza and tapas that everyone will love. From beginning to end of our tour the staff was smiling and so helpful. 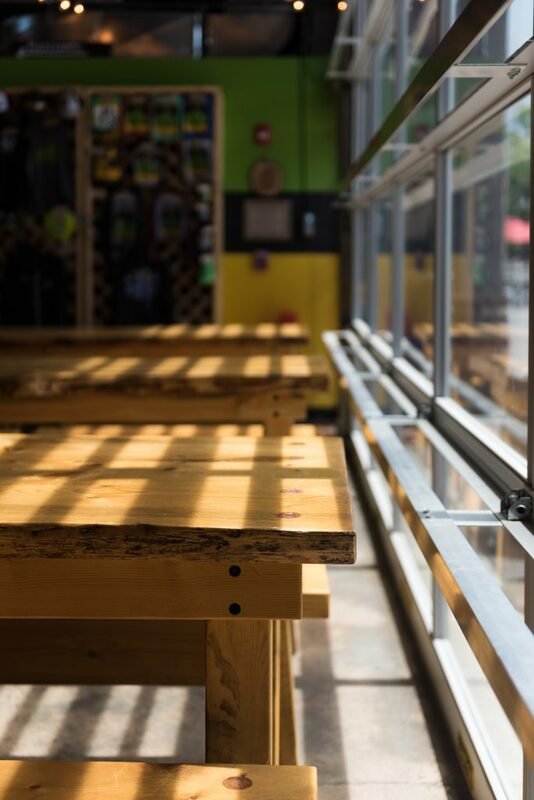 This is now one of our favorite spots in town to meet and relax and just have a great time. From our family to yours we hope you make it out to Mountain Tap if you are a local or visiting Steamboat. Previous Article Its Spring in Steamboat, Are you Ready?